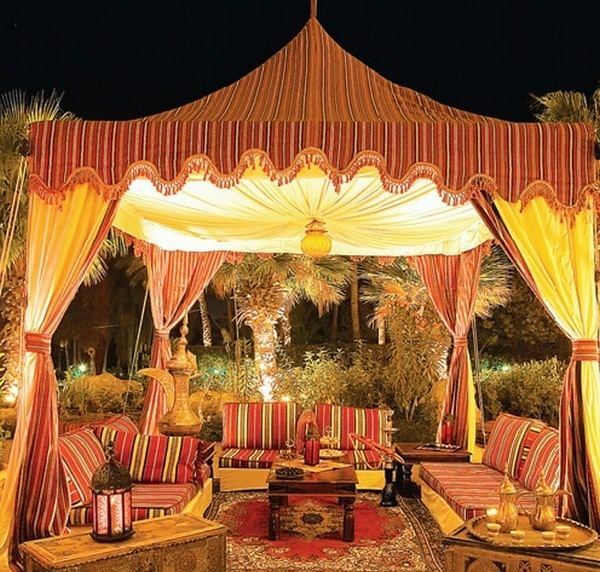 Moroccan style is very popular nowadays because of its bright colors and exotic charm and many designers use it when designing the interior. 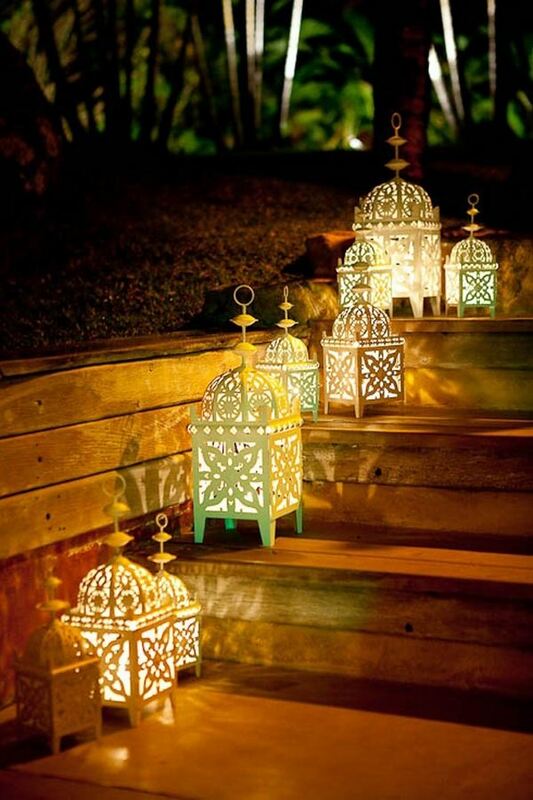 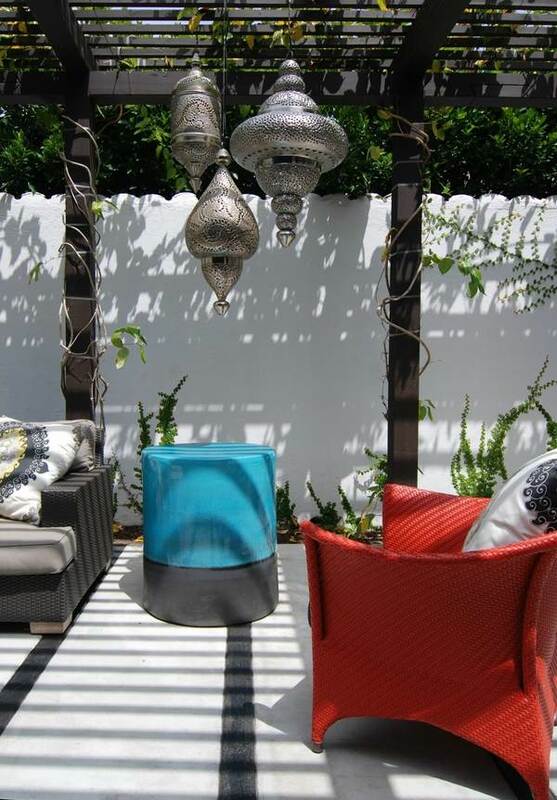 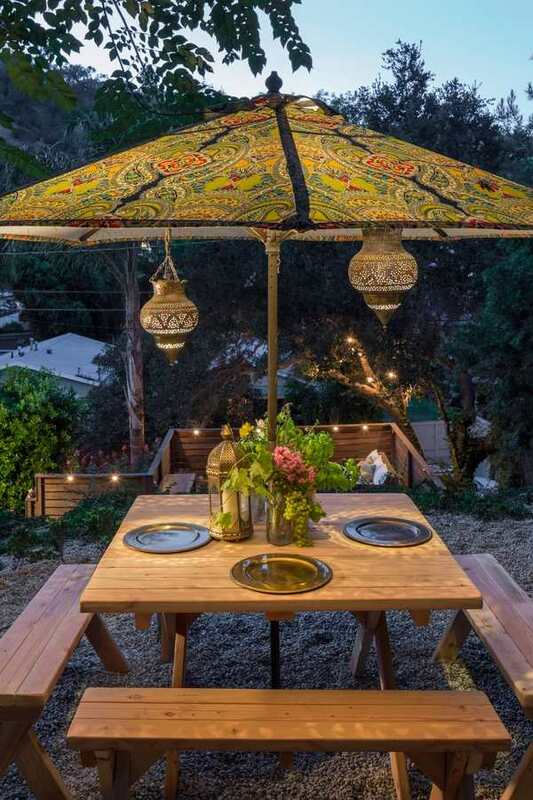 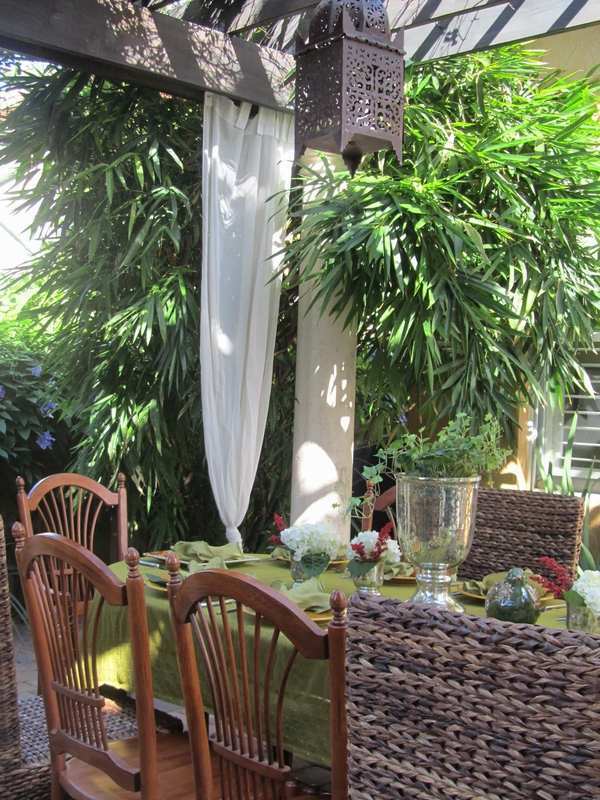 However, we will show you how you can create a magical ambience in your backyard or patio with just a few Moroccan lanterns. 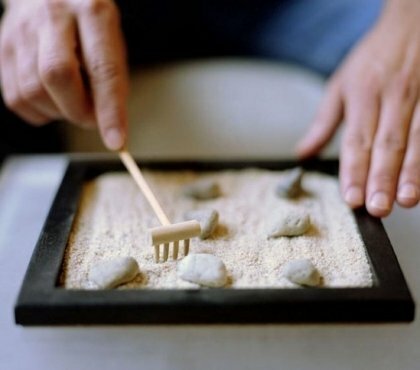 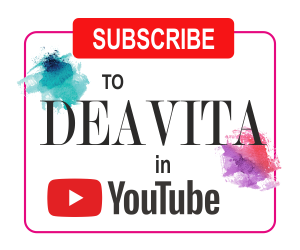 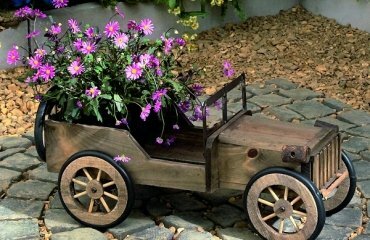 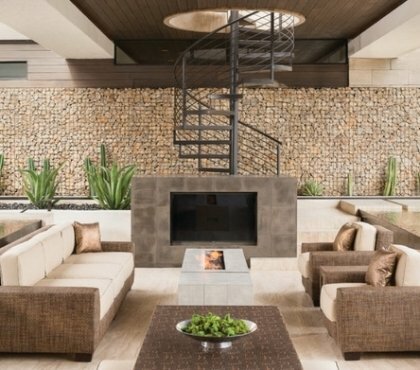 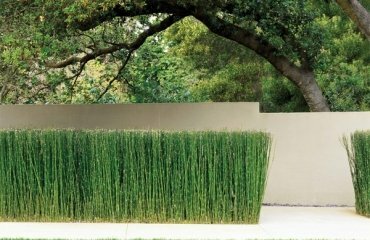 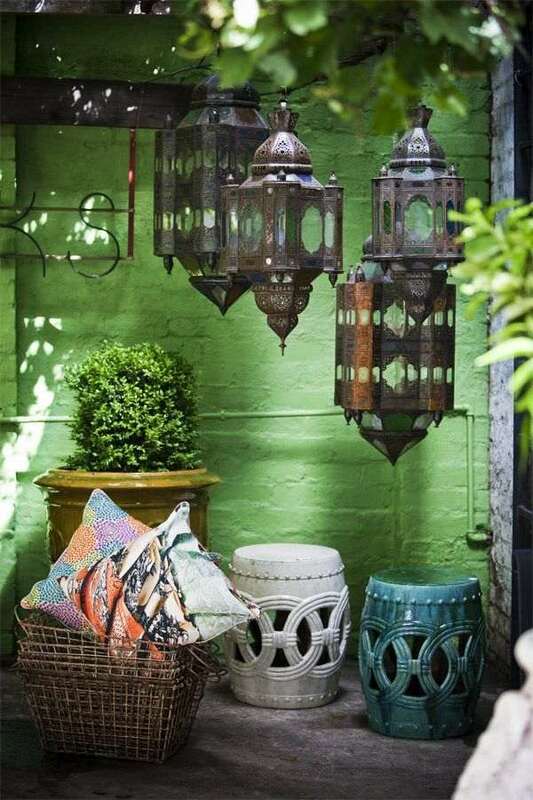 If you like Moroccan culture, architecture and colors, see some garden decoration ideas and it will only take minutes to change the atmosphere of your outdoor area. 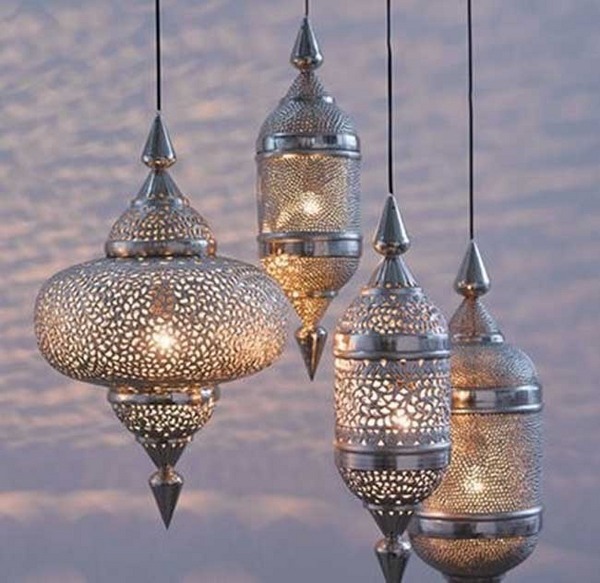 Moroccan decor is rare but its uniqueness comes from the influences of Moroccan history, culture and art. 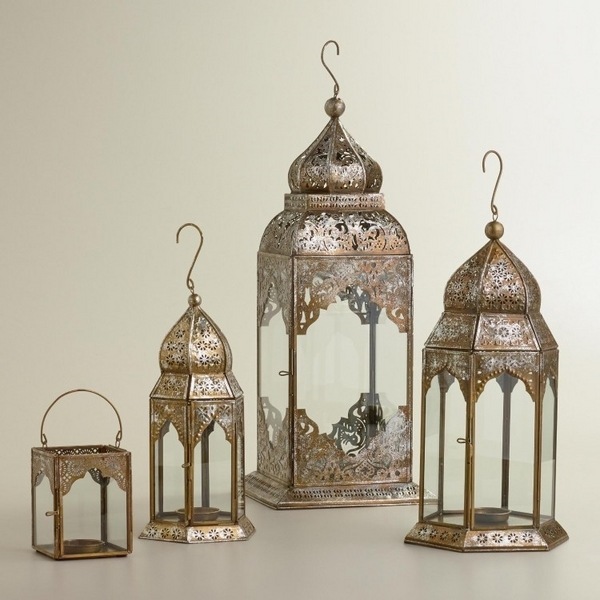 Oriental lighting is also a part of the decor and is associated with geometric shapes, bright colors and exotic designs that have long been a symbol of Moroccan decor. 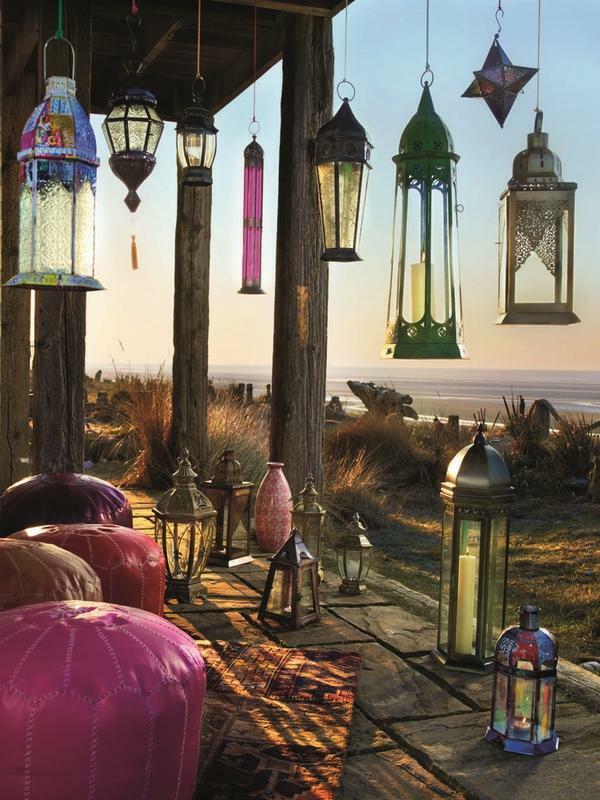 You cannot mistake Moroccan lanterns when you see them. 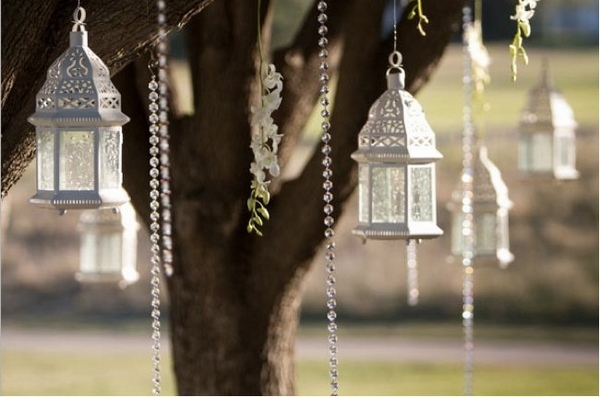 They can be made of silver, brass, nickel, wrought iron, glass or colored glass, sometimes decorated with beads. 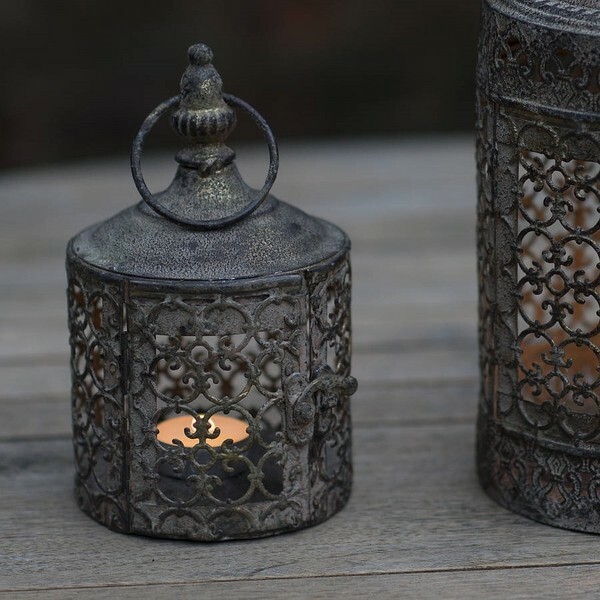 The intricate panels cast spectacular dancing shadows and the candlelight brings a new experience of ambient lighting over a table. 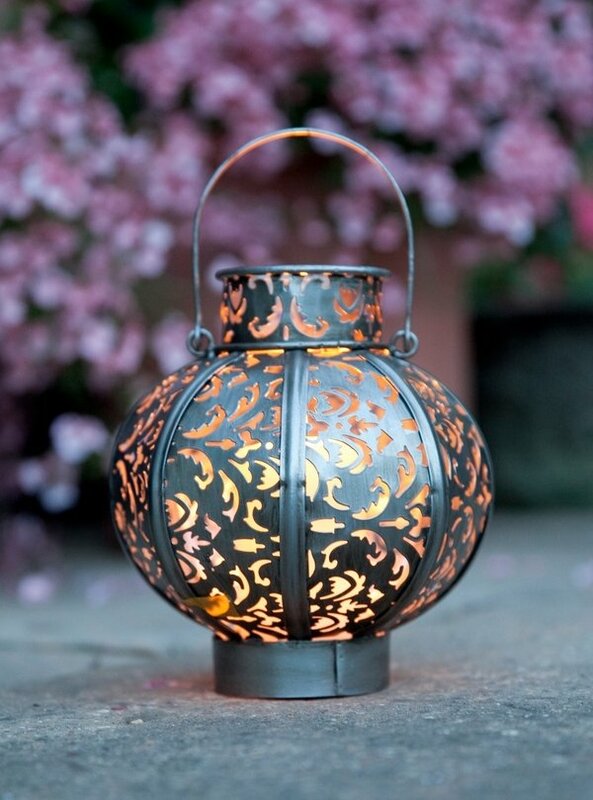 If you dream of oriental fairy tales you can transform your patio into a magical kingdom with beautifully ornate lanterns or lanterns from colored glass. 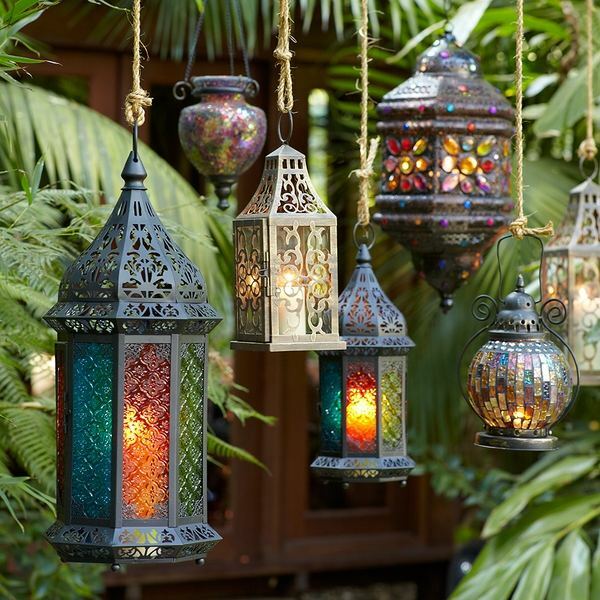 The rich oriental colors of Moroccan lanterns will create a fabulous mosaic of eccentric hues inspired by the charm of traditional motifs and ornaments. 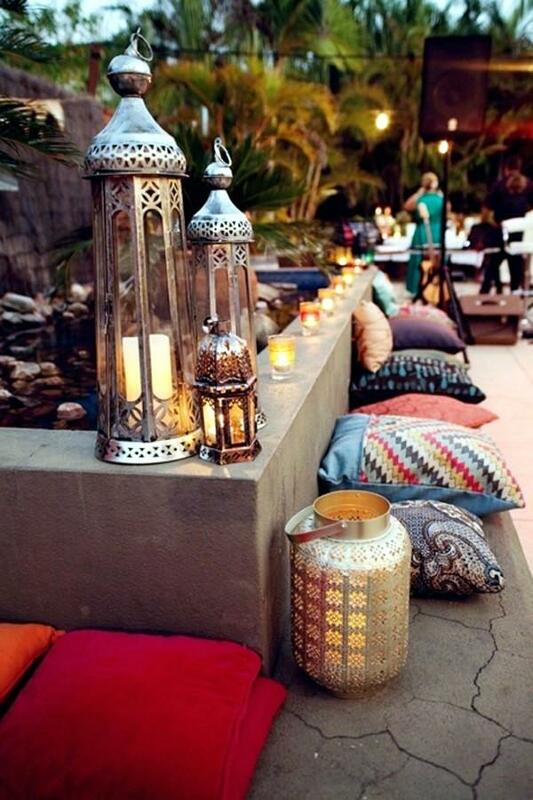 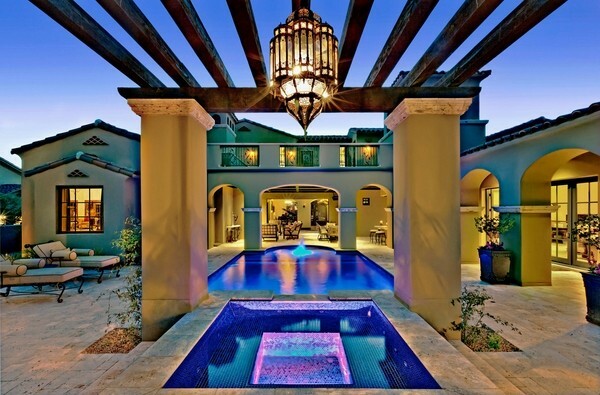 How to use Moroccan lanterns for outdoor decoration? 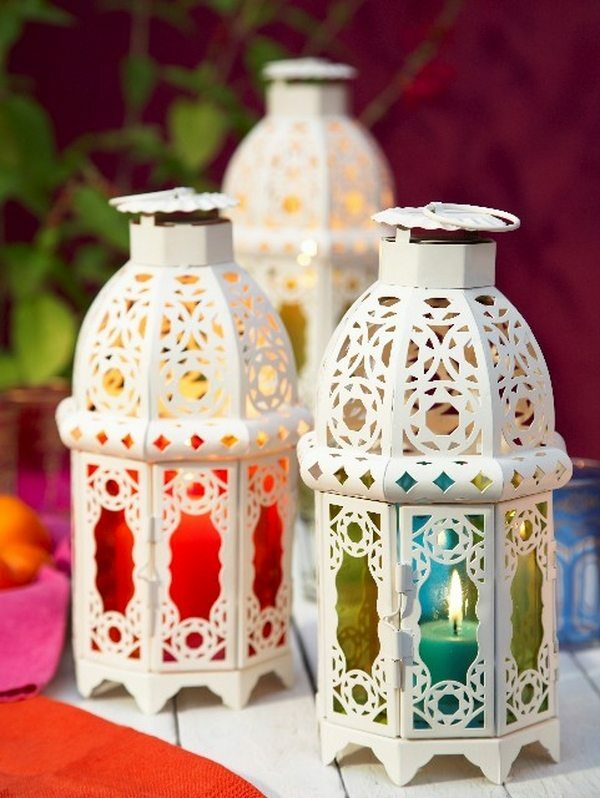 Moroccan lanterns are often preferred to ordinary lanterns for the unique look that they have. 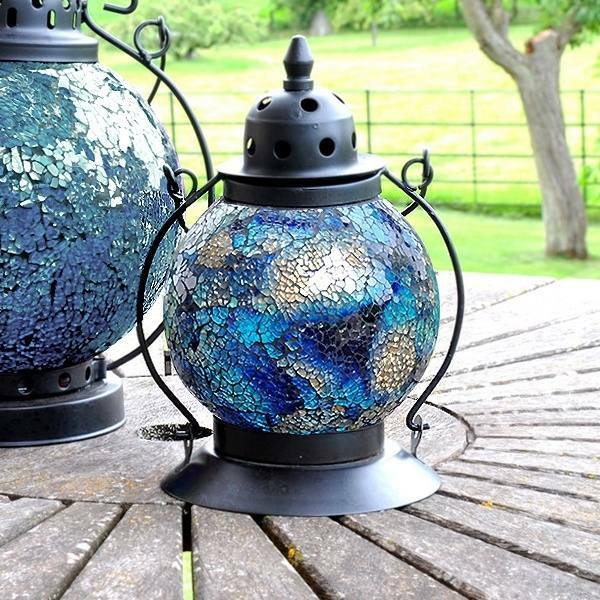 You can use glass lamps with carved motifs or stained glass lamps which will add spice to the overall decoration of your outdoor area. 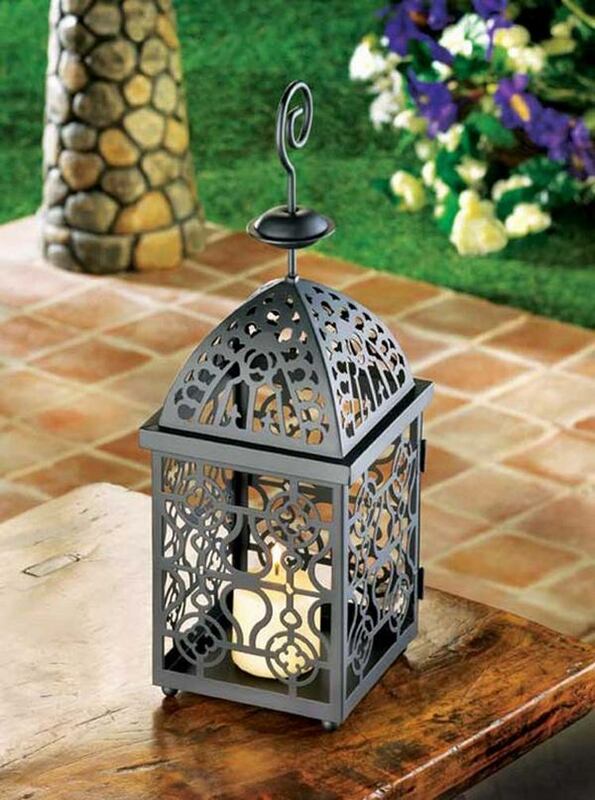 Moroccan lanterns can be successfully to existing wrought iron chandelier to bring additional warmth and a nice appealing freshness to your decor. 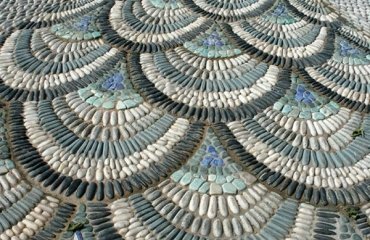 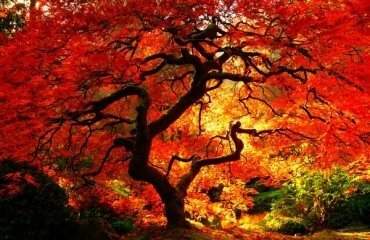 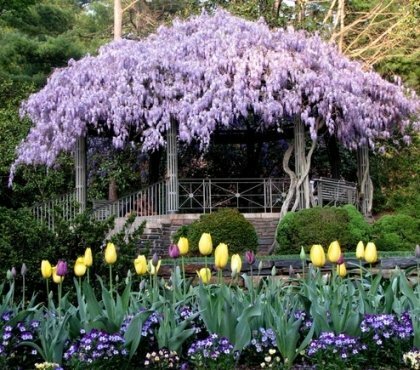 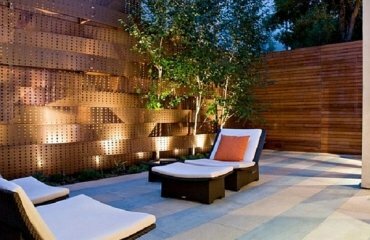 With Oriental lighting, you can get truly creative and use them to recreate a fascinating exotic oasis in your own backyard!